Anyone can set up their own koi pond at home. The tricky part is learning how to care for koi and how to build a pond that’ll keep your fishy friends happy. In this post I’ve listed the 10 best resources you’ll find on koi fish care. Whether you have a tremendous backyard garden or just want a simple koi setup, these books can take you from A to Z covering every detail along the way. 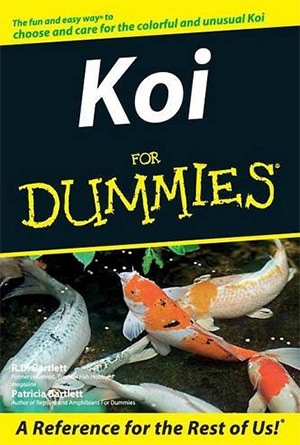 If there’s any book to jumpstart your koi research I’d recommend the Koi Complete Pet Owner’s Manual. 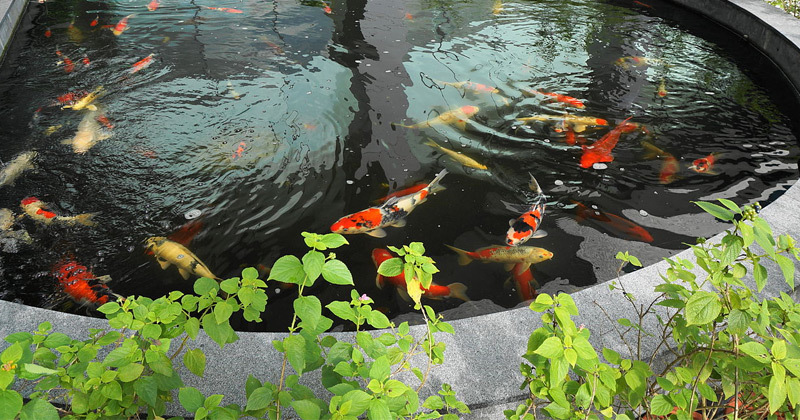 This book covers a brief history of koi along with proper maintenance and care for a koi pond. Many westerners prefer to build koi ponds with the goal of connecting these structures into their backyard landscape. However this book is not a structure-based book. It doesn’t teach you how to build the pond or design it for natural garden environment. It does cover everything else from acquiring the best koi to feeding them well, proper grooming, breeding, training, and every other topic under the sun. Plus this is full of illustrations and photographs to help you understand every step of the process. It is by far the best resource for beginners who have the space for fish but don’t know where to start. 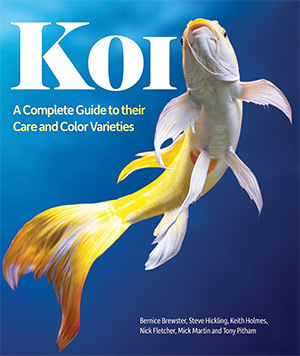 Another much more detailed book I recommend is Koi: A Complete Guide to their Care and Color Varieties. 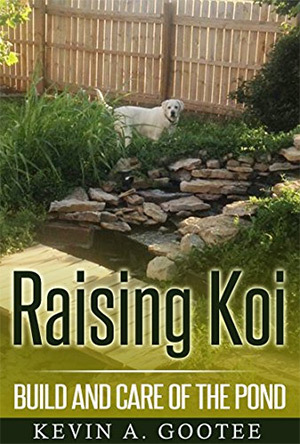 This one totals over 250 pages and it’s written by multiple authors with specialities in koi and raising rish. Early chapters cover the different styles of koi but you’ll quickly move into practical projects you can follow to build your koi pond. Along with details about feeding & raising koi you’ll also learn about the actual ponds. Topics cover the newest koi pond technology like deicers and warming tents. And you’ll dive into water filtration which is a necessary step in maintaining a healthy koi pond. With tons of pictures and step-by-step instructions this book is basically the owner’s manual for koi pond development. You can start from scratch to design, build, fill, and maintain a loving koi pond with the advice in this book. And with authors ranging from ornamental fish specialists to PhDs it’s safe to say their advice is trustworthy. If you really wanna push your garden to the next level consider grabbing a copy of Aquaponic Gardening. 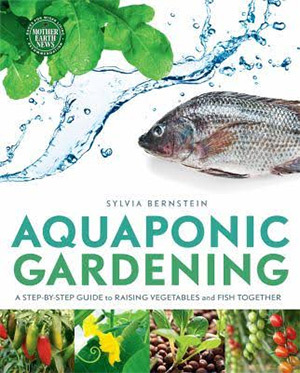 This book combines the two ideas of aquaculture(raising fish) with hydroponics(growing plants in/around water). 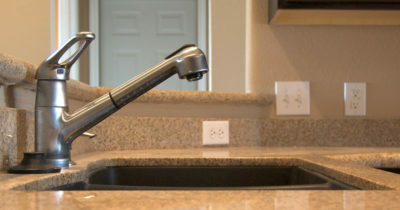 With the right setup you can route waste and filtered water through your garden plants. With this method you can grow anything from vegetables to herbs and fruits. And every single thing you’ll need to know is covered in this book. Over 250 pages you’ll follow a DIY system for crafting an aquaponic garden that can run year-round with a clean ecosystem. 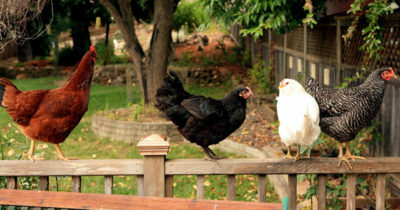 Early chapters cover the theories behind aquaponics and you slowly get into the techniques of building a pond system that reduces weeds, rodents, and bad bacteria. Everything in an aquaponics system is easier to sustain and keep growing. The toughest part is getting started and that’s exactly what this book is for. Everything you could ever want to know about making a koi pond can be found in this incredible book. 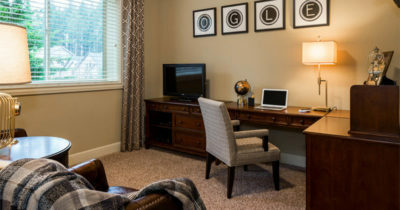 It’s thorough, easy to follow, and covers many common questions that beginners have during the process. A Practical Guide to Building And Maintaining a Koi Pond is only 77 pages but it’s jam-packed full of great content. 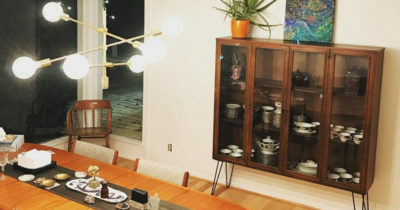 You’ll learn all about the proper build materials, how to run pipes, setup pumps, filters, and heating for just the right temperature. If you’re not a very hands-on person then I absolutely recommend starting with a copy of this book. It’ll cover all the topics you need to know while answering questions you didn’t even know you had. Sometimes you’ll find your koi in poor health or coming down with illnesses that need treatment. And unless you’re a koi expert you’ll have no idea what to do. That’s where the Manual of Koi Health can be a lifesaver(literally!). Over 160 pages you’ll learn how to care for koi that become ill, and more specifically how to care for them in the right ways. 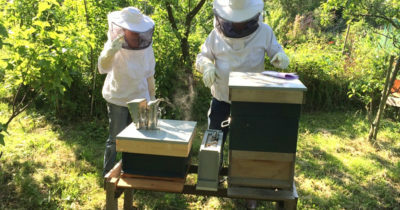 You’ll also learn how to analyze the pond’s environment to control for future diseases. Both authors Tony Pitham and Keith Holmes have decades of experience working with tropical & specialized fish. They share advice on keeping an optimal environment for thriving koi life in your backyard. This advice includes the pond itself along with how to properly handle your koi fish. Later chapters teach you how to diagnose common illnesses and how to treat them yourself. If you can find a nearby koi specialist to make a house call that’s always nice. 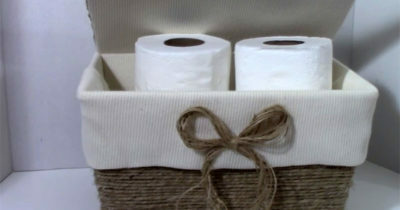 But if you can’t afford such luxuries then this book is a practical substitute. The super cheap and super short book Raising Koi is a quick introduction to the magic of maintaining a koi pond. It’s written by Kevin Gootee who has over a decade’s worth of experience maintaining his own koi pond. In this book he shares lessons learned from his experience and what you can learn from that experience. Kevin teaches you how to maintain a balance by understanding the topology and climatology of your region. Even though this book is only 30 pages long it comes with a lot of practical advice from someone who has already built & maintained a lengthy koi pond. While I do not think this book is a necessity or the best choice in this list, it certainly is a decent pick for someone on a budget. It’ll cover a nice overview of how to build a koi pond and what you can expect for general maintenance work. Creating your own koi pond is never an easy task. But once you understand the terminology it becomes much easier to accomplish. 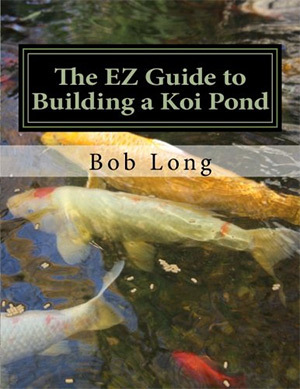 The EZ Guide to Building a Koi Pond is far from the most detailed book you can get. 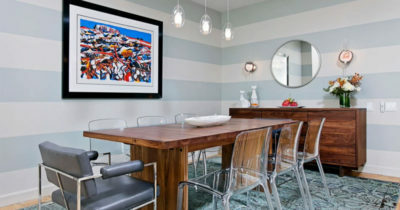 But it does have a very simple outline that you can follow with ease to pick up on the technologies & build materials used in a typical backyard garden pond. You’ll learn how to create a pond that can sustain life for your koi while also adding decorative features like water lilies. Every chapter covers a new topic from digging a hole for your pond to reinforcing the sides and buying the right pond pump. 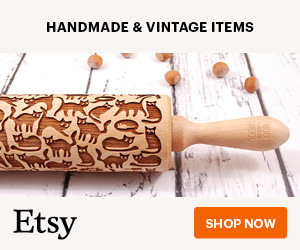 If you’ve never built anything before then you probably won’t have an easy time with this. But given the proper focus and materials you should be able to craft a gorgeous koi pond for your backyard without any prior experience. Each chapter in this book is surprisingly well-written for people new to this topic. Koi For Dummies talks about koi as a species and how they live, eat, and breed. And this book also delves into techniques for actually building a koi pond which is what you ultimately want to do. With a total of 300 pages this book can bring you from a koi novice to an expert fish owner with little struggle inbetween. It’s also a pretty cheap book to add to your collection so it can be valuable for anyone looking to build a koi pond on a budget. 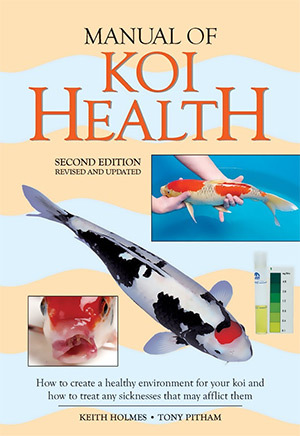 This dummies guide is not the best resource for learning about the details of koi maintenance or koi health care. But as an introductory book it is absolutely a terrific place to start. 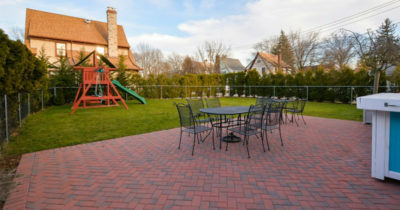 If you live in a colder climate then you know how tough it can be maintaining your yard in the winter. 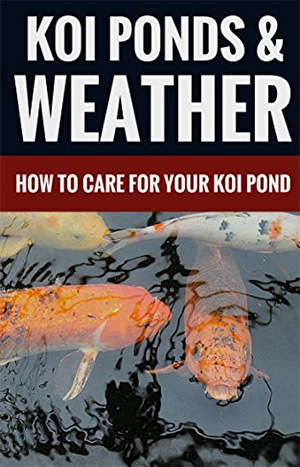 Koi Ponds & Weather is a short book covering this very topic about raising koi and keeping your koi pond healthy year-round. All koi ponds jump to life in the spring and this is the best time to perform basic maintenance and health checks. This short book can teach you the basics of maintaining a koi pond year-round that keeps your koi healthy and keeps your yard beautiful. In this guide you’ll look into all 4 seasons and how they affect your koi pond. 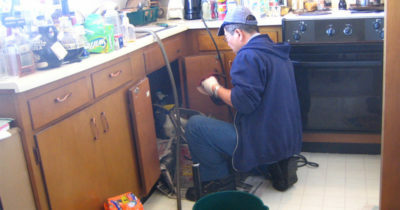 Tips include water filtration along with the do’s and don’ts of cleaning and encouraging breeding. You may not like the size of this short reference guide, but it covers seasonal concerns in great detail. An excellent read for aspiring koi owners and experienced koi pond enthusiasts alike. This fun encyclopedia offers a look into the world of koi fish and the fun of an outdoor pond. 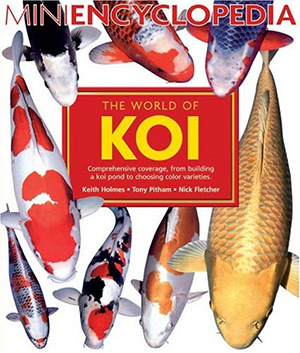 The World of Koi spans 208 pages of brilliant photos and detailed information about koi. Inside you’ll find tons of information on raising koi and breeding the right species that you like the most. It’s easily one of the more detailed guides in this post, and it has dozens of contributing authors each with years of experience working with koi. 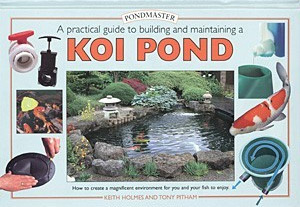 However I don’t think this book is very practical for someone looking to build a koi pond. This makes a better coffee table book or inspirational piece for an aspiring koi pond owner. Yet with so many books to pick from it can be tough knowing where to start! In truth all of these books are incredible and they each offer unique information. 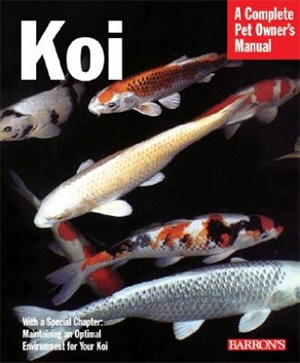 If you’re a complete novice looking to get started I recommend a copy of Koi Complete Pet Owner’s Manual for a look into the basics of koi fish. I also like Koi: A Complete Guide for its detail and how it focuses on the process of building a physical koi pond. 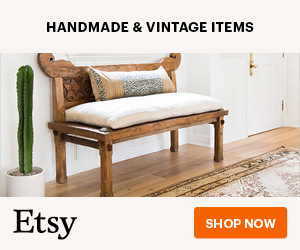 But any book in this list is valuable if you’re building a koi pond from scratch. Take another look and see if any books in particular seem relevant enough to check out.